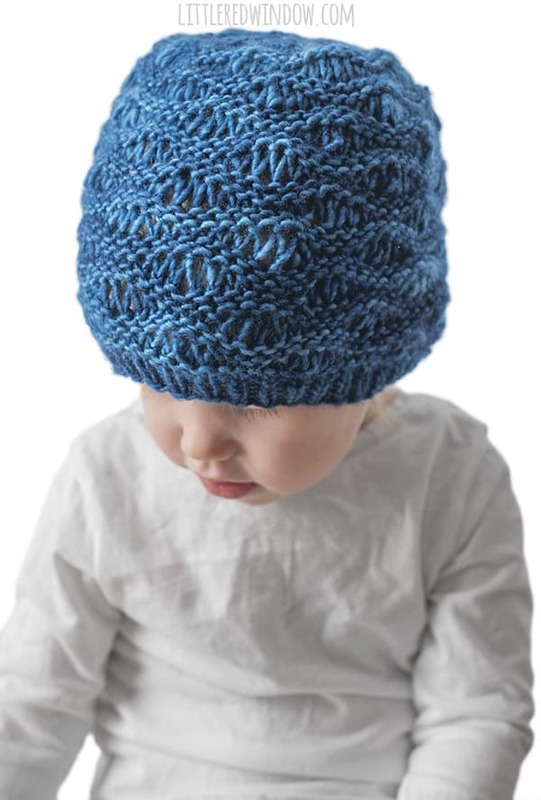 This beautiful Ocean Waves Hat knitting pattern knits up super fast thanks to that pretty undulating seafoam stitch pattern, perfect for you newborn, baby or toddler! 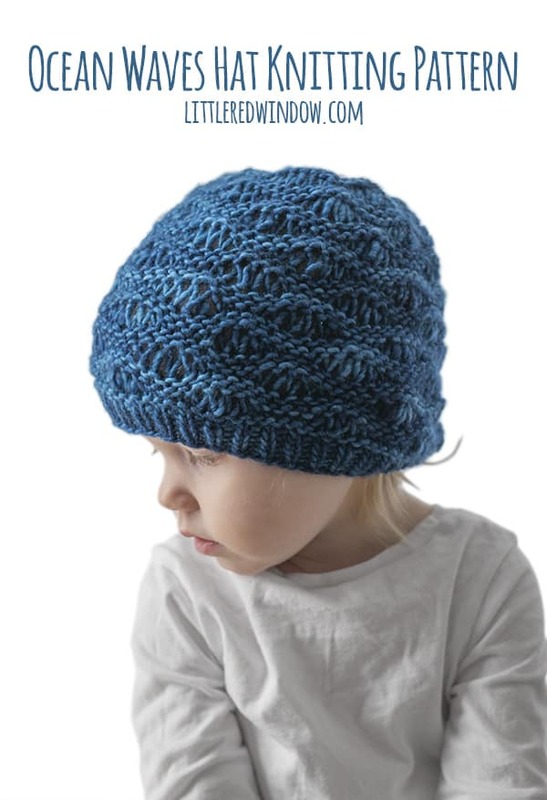 I just love this ocean waves hat for number of reasons. 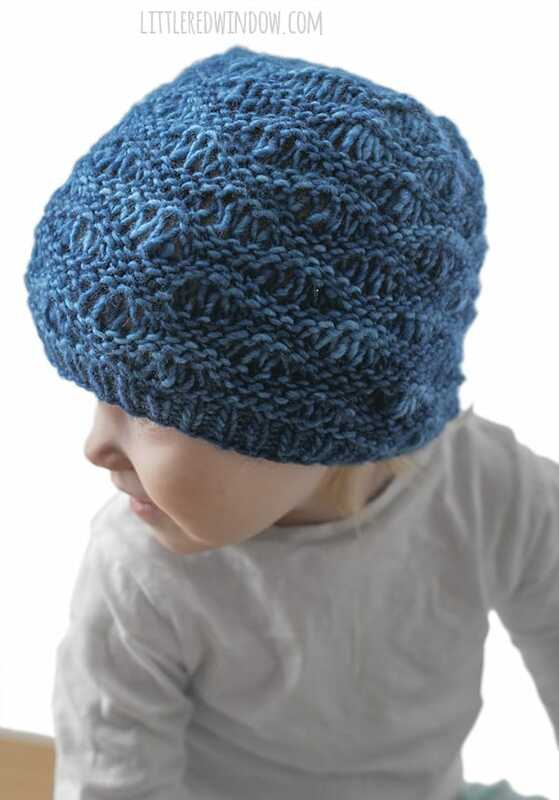 Besides being really pretty, especially in this deep brooding ocean blue hand-dyed yarn, it also knits up super fast. 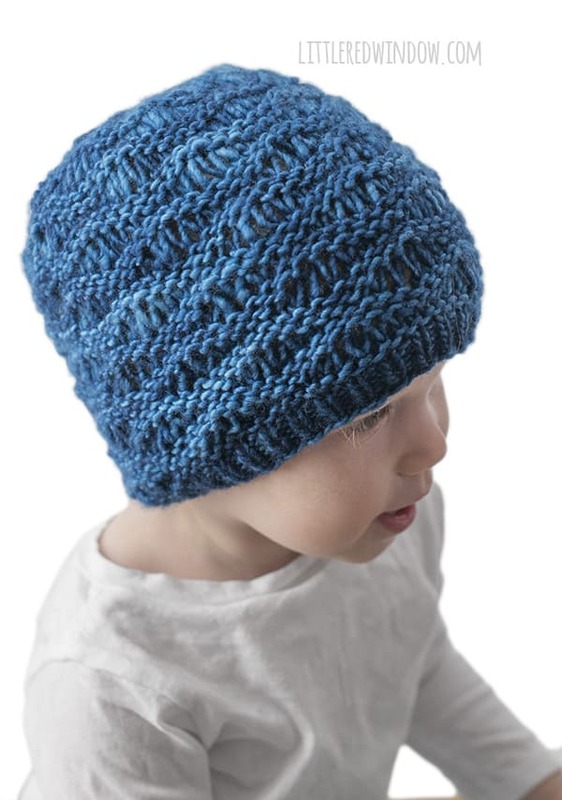 The double and trip yarn overs make this hat come together really quickly and it’s just fun to see the ocean wave shapes magically appear. Technically this is a variation of what’s called the seafoam stitch. 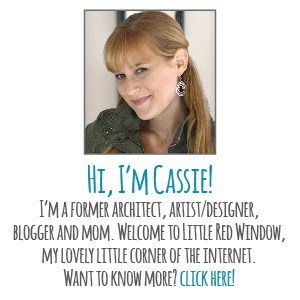 Another thing that is great about is that it looks pretty good from both sides. Which I learned is important when I went to pick up Baby V from preschool the other day and they had put her hat on inside out. I guess it’s a compliment that they couldn’t tell the difference? 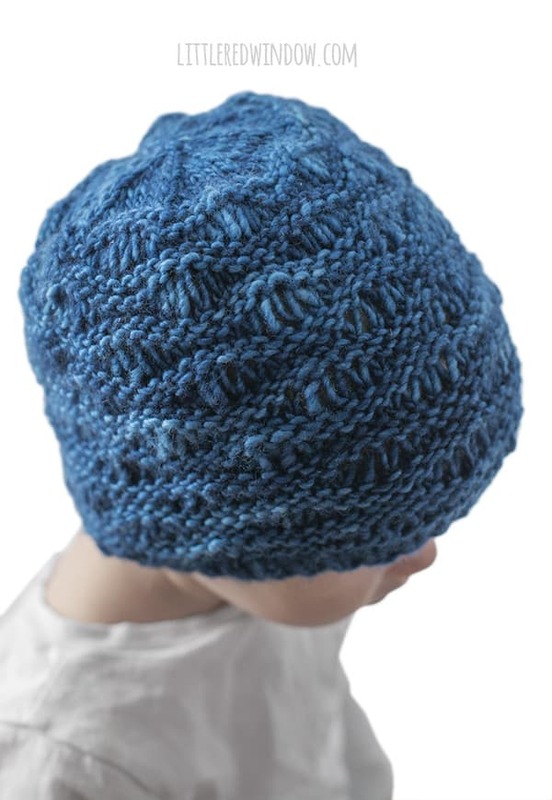 Anyway, I think the seafoam stitch in my ocean waves hat is one of the most fun stitches to do, I hope you enjoy it too!